LAFAYETTE, La. 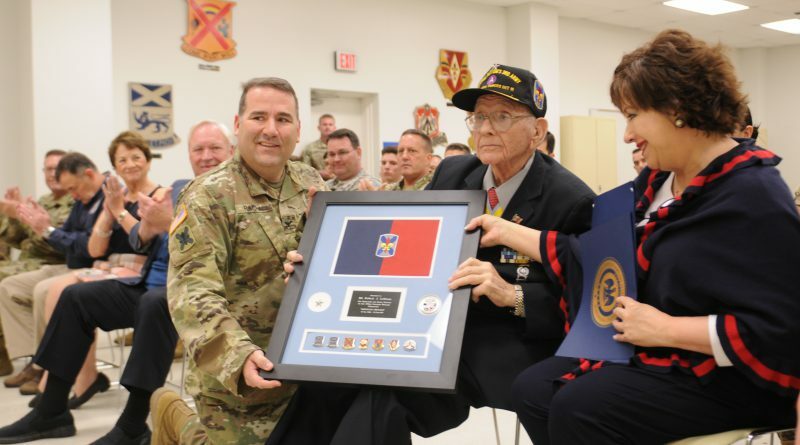 – The Louisiana National Guard’s 256th Infantry Brigade Combat Team and the Governor’s Office of Homeland Security and Emergency Preparedness honored retired Brig. Gen. Robert J. LeBlanc during a special ceremony at the 256th armory in Lafayette, April 14. Col. William Rachal, the 256th IBCT commander, presented LeBlanc with the brigade colors, and GOHSEP director James Waskom presented the governor’s commendation and GOHSEP certificate for his time as an emergency manager. LeBlanc, 96, is a native of Abbeville. He graduated from Abbeville High School in 1938 and from Louisiana State University, where he majored in geology and mathematics, in 1942. He was commissioned in the U.S. Army as a second lieutenant on May 18, 1942. 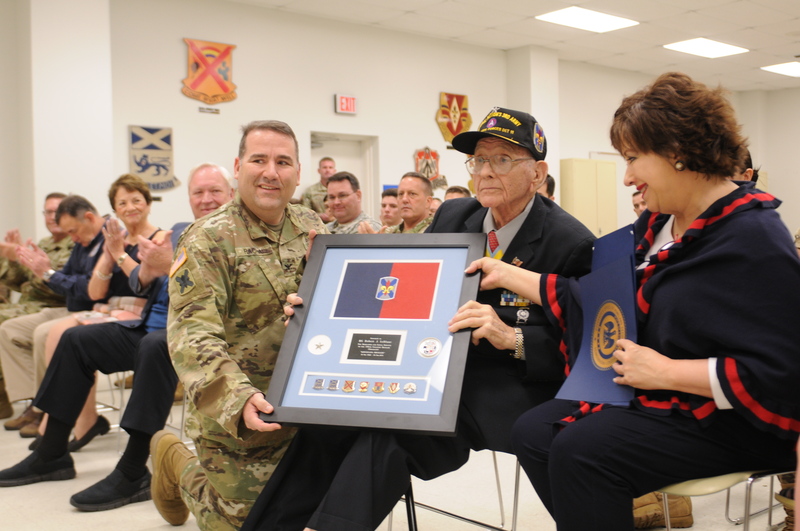 LeBlanc was recently honored in Washington, D.C., when he was presented with the Congressional Gold Medal for his service during WWII. During his active duty time, he volunteered to serve in the Office of Strategic Services, which is considered to be the foundation of today’s intelligence operations, in 1943. From 1943-1945, LeBlanc served as a liaison officer in 3rd U.S. Army Headquarters, Special Operations between Gen. Patton’s Third U.S. Army and the French Underground. He also spent time with the VIII and XII Corps and the Fourth Army Division in France. 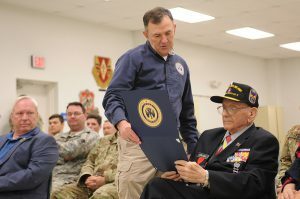 In 1945, he was transferred to the China-Burma Theater, where he served as a special operations officer with an OSS detachment in Kunming, China. After WWII, LeBlanc joined the LANG and organized H Company, 156th Infantry Regiment, 256th IBCT in Abbeville. He served as the deputy brigade commander of the 39th Infantry Division, then commanded 1st Brigade, 39th Infantry Division. He later commanded the 256th Infantry Brigade and went on to become the commanding general of the Louisiana Army National Guard Command. LeBlanc also served as the director of emergency operations for GOHSEP. 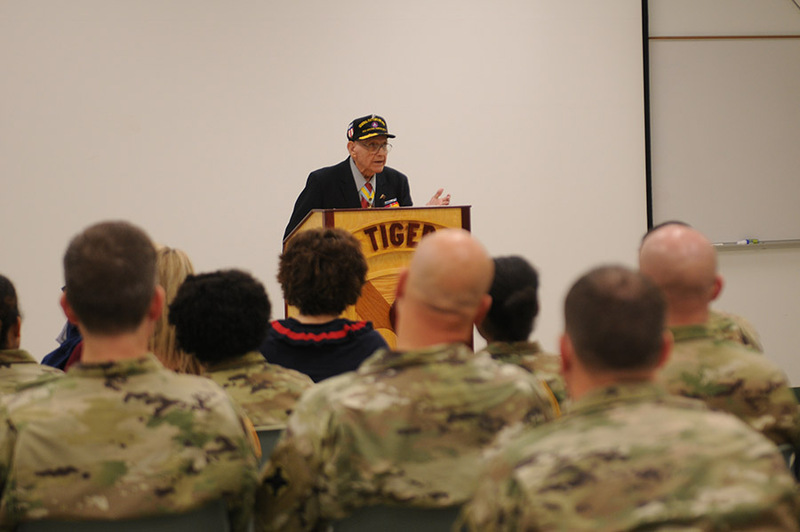 LeBlanc told those in attendance that when he took command of the 256th, he had one simple goal in mind; “To be the best unit in the United States Army, and it turned out to be the best unit in the United States Army,” he said. Donna LeBlanc, daughter of LeBlanc, said that as a young boy, her father held a door open for one of his teachers, who told him that he was going to do good things with his life. U.S. Army flags date back centuries and are traditionally used for unit identification and for fostering esprit de corps in the Troops that fall into a unit. 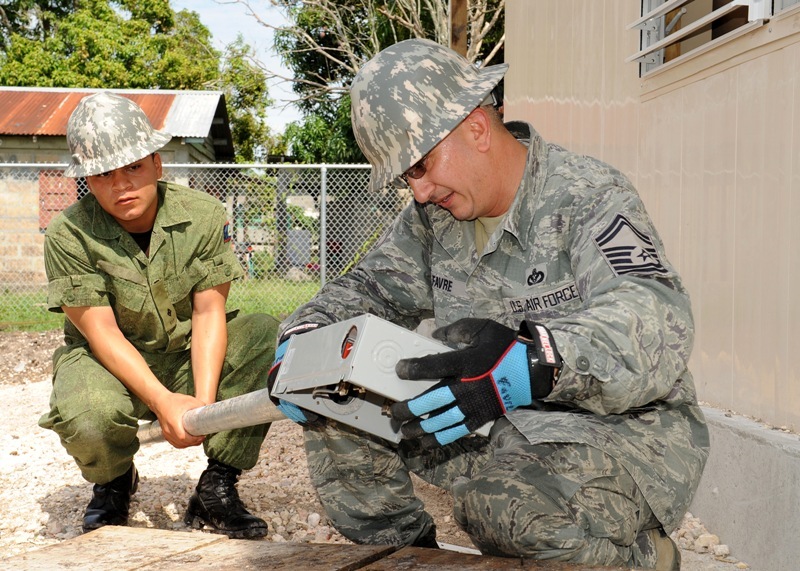 A military unit’s colors are a source of pride for the Soldiers who fall under those colors. Honoring a Service member with the brigade colors is a high honor. 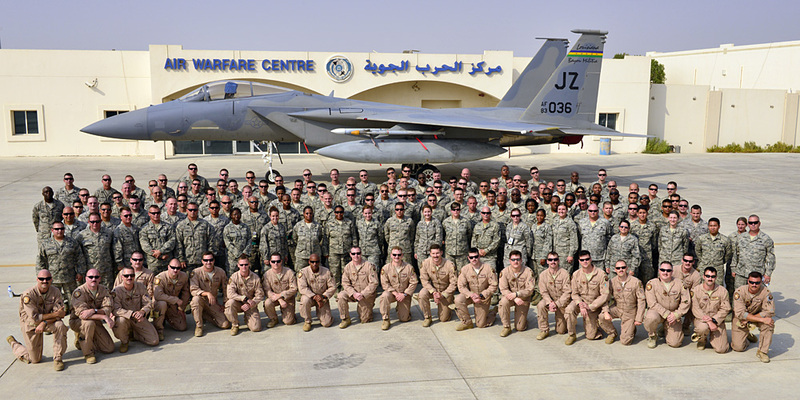 “Those brigade colors mean but one thing to me – home,” said LeBlanc. 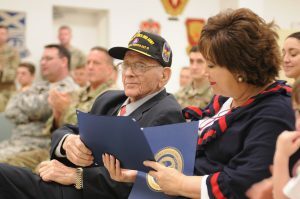 LeBlanc holds several distinguished awards from his time in service, including the Congressional Gold Medal, the Legion of Merit, the Bronze Star, American Defense Service Medal, American Campaign Medal, European-African-Middle Eastern Campaign Medal with three stars, World War II Victory Medal, Louisiana Distinguished Service Medal, Louisiana Cross of Merit and the Order of Saint Maurice. He was inducted to LSU Cadets of the Old War School Hall of Honor in November 2000 and the Order of Living Legends by the Acadian Museum of Erath in October 2001. He was also inducted into the LANG Hall of Fame in March, 2006.